博士. ジョン·デビッド·アーノルドは、バックスカウンティードイルズタウンに近接する小規模農場で「ペンシルベニアダッチ国で生まれた. 家族が1600年代初期にさかのぼる彼の亡き父は作家や発明家だった, 誰が1950年代にトリプルAと人気の力学雑誌のメキシコの第一モータ·観光ガイドを書きました. 彼の母は芸術家だった, 彫刻家, パタゴニアのグレイスのギフトショップのとマイクロビジネスオーナー, アリゾナ歳まで 97. 博士. アーノルドは、2人の姉妹を持っている, ジェイニー & エレイン. 博士. アーノルドは、50年以上のためにアリゾナ州の居住者であっ、現在ツーソンやパタゴニアの両方に存在しています, アリゾナ州. 博士. アーノルドは3人の娘と1義理の息子を持つ単一の親である; ローリー, レナート, (リマで生まれ, ペルー) チャスカ, 19 そしてティカ, 16. すべての4は出席し、伝統的な公共チャータースクールに優れている. 博士. アーノルドはグアダラハラへ移動, 彼は6歳だった彼の家族と一緒にメキシコ, そしてコレヒオセルバンテスで小学校に通った. 彼はノガレスに移動, グアダラハラの5年後にアリゾナ州. 彼の家族はその後ツーソンの南側年頃に移動 1958 彼はウェイクフィールド中学校、プエブロ高校に通った場合、. その後, 博士. アーノルドは、アリゾナ大学を卒業, スペイン語と社会学の学士号を取得した, 管理と教育の2つの修士号, (M. と) 博士に. 同じ分野の. 年齢で 12, 彼はスペイン語を話したので、彼は通訳としてブラセロの農場労働者キャンプに行くために彼の教会のバス省庁によって招待されました. 年齢で 16, 彼は彼自身の教会のバスを運転し、サンタクルスバレーの出稼ぎ省庁を設立, Rillito, とマラナ, アリゾナ州. 年齢で 18, 彼は出家し、カタリナの最初の南部バプテスト教会牧師ました, アリゾナ州. 彼の指導とコーチのキャリアは、彼がアリゾナ州の独立高等学校体育協会を組織私立学校にいた. 彼のバスケットボール, サッカー, トラックや野球チームのすべての勝利の状態選手権 1966. で 1967, while working for the Head Start Program, 博士. Arnold wrote the first PPEP, 株式会社. grant proposal submitted to the Tucson War on Poverty Program, which was initiated by the Presidents Kennedy/Johnson Administrations. The initial funding was for $19,000, from which he bought a 48 乗客 1957 Chevrolet school bus known as “La Tortuga” (the tortoise). 博士. Arnold was the driver, mechanic and school teacher imparting practical educational teachings to help the Bracero farmworkers prepare themselves to be productive in our society. メキシコに住んでいた, he understood first-hand what it was to live and study in an unfamiliar society with a different language and culture. From PPEP’s humble beginnings aboard La Tortuga 49 years ago, 博士. Arnold, the PPEP Board of Directors and dedicated staff have sought to carry out the dreams to “improve the quality of life” of the farmworkers and rural poor whom visited the bus in those formative years. His work has been cited as national models 10 times in U.S. Congressional Records, including citations by U.S. Congressmen Udall, Kolbe, Pastor, Grijalva, Giffords, and Senators: DeConcini, McCain, Kyl and Enzi of Wyoming. His programs have been honored twice at the White House, among numerous other recognitions nationally and internationally. US Congressman, Ed Pastor wrote “It is your vision and energy that transformed ‘La Tortuga’ into a major force for ‘Improving the quality of life in Arizona and the world”. US Senator, Mike Enzi wrote, “you may be the most innovative person I know. It’s always fascinating to learn of your new and intriguing advances, plus being a voice for the migrant farmworker and their kids.” Senator McCain stated “Ultimately much of our future depends on programs such as PPEP” www.ppep.org. 博士. Arnold served on the Tucson Metropolitan Education Council for ten years (1990 to 2000). He has been instrumental in establishing 11 農場労働者, rural and inner city PPEP TEC charter high schools, which have graduated 3,500 に- risk students with full high school diplomas. で 2003, PPEP partnered with K-12 Inc. and established the ArizonaVirtualAcademy. This is a K – 12 grade on-line instructional programs with over 4,000 students (www.AZVA.org). で 2007, a partnership with Insight affiliated with the University of Phoenix has opened virtual charter high schools in California and Idaho. Insight Arizona in 2012. で 1985 博士. Arnold organized one of the first micro business programs in the US with a model imported from Mexico. 今まで, this program has lent over 22 million dollars to micro business located primarily on the US Mexico border region. 博士. Arnold has also served on the National Farmworker Advisory Council for the U.S. Department of Labor under three US Secretaries, providing consultation. Most recently, he has been active in the formation of The Bi National Trade Council promoting import and export and expositions of microbusiness products which has been called the “Mini or Micro NAFTA.” In 1990, a donation of $5,000 was made to FAI de Sonora to capitalize their rural micro loan fund which presently is one of the largest in Mexico, based in Ciudad Obregon, ソノラ州. There a farmworker Hall of Fame was named for his efforts. Mot recently participated with Tucson Mexico Sister Cities project. で 2007 he organized a major humanitarian relief effort among the Yaqui and Mayo tribes’ victims of Mexico’s Hurricane Henriette this coupled with similar efforts in the Tabasco and Jimena disasters. で 2008, LULAC created a National Humanitarian Award in his name. Moreover, he negotiated 3.25 million in scholarships benefiting 100 Latino students with University of Phoenix. Today the legacy of the “La Tortuga” school bus lives on through the over 550 employees in 35 field and job training offices statewide. さらに, PPEP Inc. has been recognized the 92nd largest employer in Southern Arizona. PPEP provides pass- through funds to farmworker grass roots affordable housing programs in the Rocky Mountain States and Hawaii. PPEP’s largest program, which has a special place in Dr. Arnold heart, provides services to the developmentally disabled. 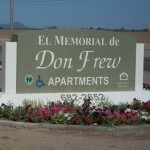 PPEP has established 18 group homes, residential, and work sites across rural Arizona. The Arizona Star Editorial stated “ Arnold is a wizard at stretching money from government and private sources to get the most out of them and aid the rural needy as well as give them dignity in their lives, “that is the best service money can buy.” The Maui Connection was a term given to PPEP’s migration of dozens Hispanic farmworkers to the Island of Maui to work the pineapple and cane fields in 1990’s. Later, a micro loan program was established there, which now covers all the islands. The U.S. Department of Education awarded PPEP the High School Equivalency Program (HEP), a second five-year contract to assist adult migrant farmworkers to obtain their GED certification. 今まで, some 1,000 farmworker adults have graduated from the HEP program in Yuma County alone. The HUD funded Youth Build Program has served 158 drop outs with construction skills and jobs building and rehabilitating over 120 and built 30 new farmworker homes in San Luis and Somerton, アリゾナ州. In the mid 1980’s PPEP, 株式会社. was the Navajo Nation’s largest sub-contractor in job training, affordable housing and computer training schools. で 2000, he organized the Farmworker LULAC Council #1088, which was the nation’s largest adult council. さらに, he organized dozens of LULAC Youth, LULAC KIDZ, and adult LULAC councils, mostly among Arizona’s farmworker and rural regions. で 2013 , the LULAC National President Margaret Moran re-appointed Dr. Arnold as both LULAC National Chair of Education and Chair of International Relations for a seventh terms, which are among the League of United Latin America Citizens highest priorities. で 2007, 博士. Arnold organized LULAC’s first international council in Hermosillo, メキシコ, later, followed by India and Africa. 博士. Arnold manages on the weekends in Patagonia, アリゾナ州, Grayce’s Gift and Candle Shop as well as the Dia de Los Muertos Museum which the Smithsonian Institute has recognized as the “first of its kind in North America” www.grayces.com. At PPEP, 株式会社. the old bus “La Tortuga” has been restored and placed in the Farmworker Hall of Fame also recognized by the Smithsonian with visitors worldwide. Between 2010 and 2012, he conducted seminars along with Dr. Gabriel Cousens on the natural cure of Diabetes/sustainable organic farming Ghana, Nigeria, and Ethiopia and December 2013 in Cameroon. で 2005, he organized the Hurricanes Katrina/Rita Farmworker Relief partnership that included World Care, LULAC, and Mississippi Delta Council that NBC News called “the largest non-governmental, interstate relief effort of its kind, ever.” This relief effort was documented in five pages of the US Congressional Record. Also in 2008, 博士. Arnold established Africa’s first three micro credit/cooperative “Hybrid” loan funds in Nigeria and Ghana. www.ghanaoldbaika.org. で 2011 he established the West African Rural Empowerment Society that oversees schools economic development, nutrition and cultural projects. www.africawaresdonate.org. These efforts were reported in the West African Daily Sun News; “Philanthropy with a Difference; How an American Touched the Lives of Millions.” He met with His Holiness the Dalai Lama at his residence in Dharamsala, India met with the President of Ethiopia 2011. Also in 2012, he established nutrition, micro credit, sustainable farming projects in Cameroon and Ethiopia. で 2010, two ballads one in English and one in Spanish were composed recorded on his life pathway. Coined the motivational sayings; Si Se Pudo y Si se Podrá!